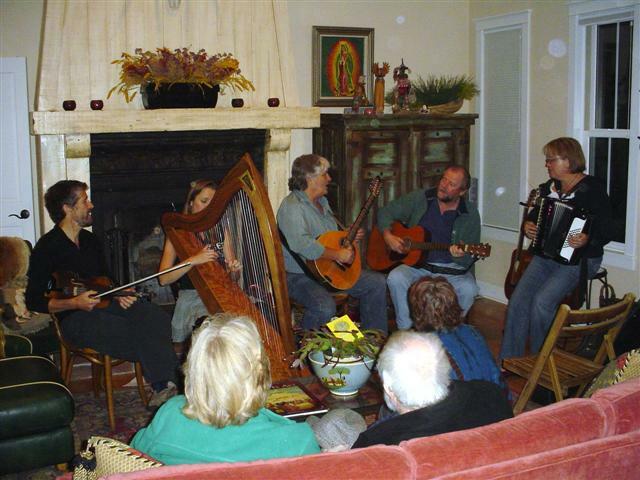 Celtic Festival began with a welcome party at our home. I got up early this morning to complete prep. 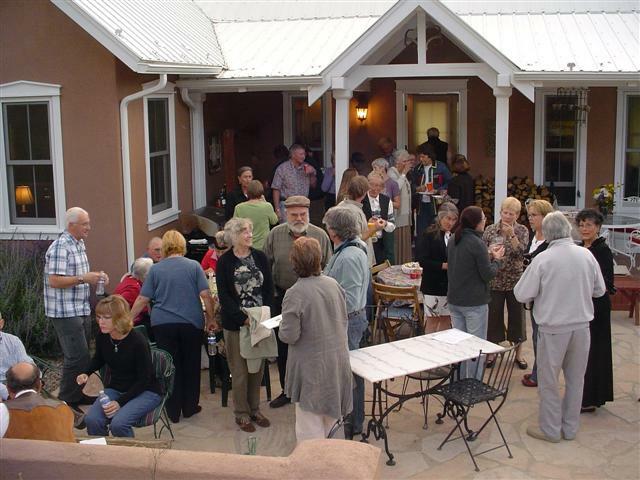 for our Pre-Festival Party to welcome the International Celtic entertainers to La Veta. We are hosting a private party Wed. night for the musicians, the major Donors and other dignataries. We expect about 40 plus folks and it usually turns into a lively Ceilidh (jam-session) before the evening is out. The first night of their performances will be Thursday in Gardner. Then moving over to La Veta and Walsenburg with lively workshops each day throughout the weekend. Last week the FTC released cell phone numbers to the public access. You may begin to receive sales calls from telemarketers, and YOU will be charged for your cell time. Register your cell phone now, on the National Do Not Call list. Simply dial 888 382-1222 from your cell phone. Or go to http://www.donotcall.gov to register all your phones. Nearly 50 residents turned out last week to protest the proposed 180 ft. cell phone tower application. It is primarily the “location” of the proposed tower due to its dominant height near the Town Lakes. That area is within the designated Scenic Conservation Corridor. While some question the need for improved cell phone service, others are in favor of an alternative site and method, namely the flat panel antennas proposed to be attached to the Town water tanks. The two options may also pit the County against the Town, as both are set to vote on their respective proposals this month. Today, I Closed on the sale of Mountain View Ranch ($650k) Congratulations to the new owners and to the Rankins. Best of luck to all in your new ventures. Yesterday, the Owners of the Cuchara Mountain Ski Resort accepted an Offer to purchase their resort property near La Veta, Colorado. The Contract is scheduled to Close within 45 days subject to final due-diligence. Buyers plan to then petition the Forest Service for issuance of the Permit to re-open the Ski Resort facilities located on the mountain. Stay tuned for all the details as they become available.